In April 2013, Sunline introduced a new version of the top line Shooter product. Sunline’s goal with making the new version was to create a line that could be used in all applications and was now available in more sizes. 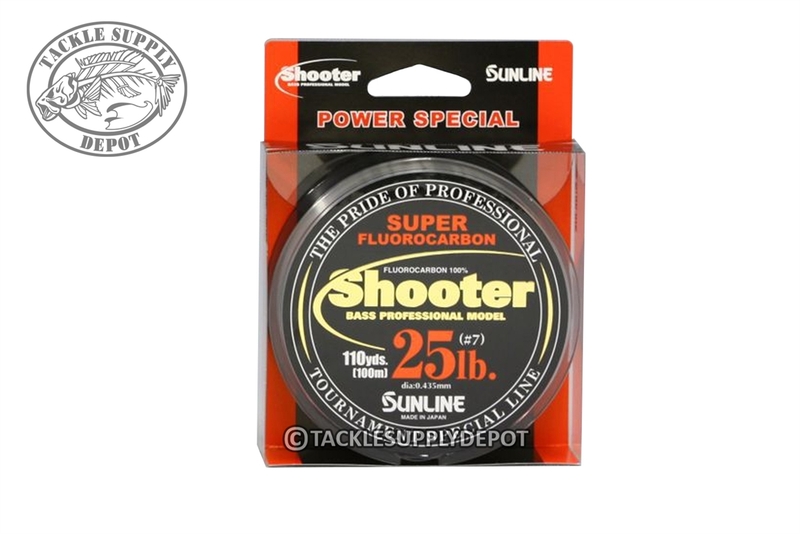 It is difficult to make one product exactly the same across a wide range of sizes and have it be effective for all of those, so Sunline made three precisely formulated versions of the Shooter Fluorocarbon, each one tailored to techniques associated with its range of sizes - Finesse Special, Marionette Special and the Power Special. Each of the three lines retains the characteristics that have made Sunline Shooter Fluorocarbon so popular: little-to-no memory, low underwater visibility, and an amazing castability. While there are similarities between the three each version offices enhanced attributes and performance suitable for specific applications ranging from dropshotting small worms on 7lbs to flipping heavy jigs on 30lbs. Sunline Shooter Power Special is the ideal tool for flipping heavy cover to throwing big swimbaits. The Power Special formula provides a beefed up abrasion resistance and small increase in stretch which provides ideal shock absorbency perfect for those bone jarring hooksets and for horsing the lunkers out of the cover.